The last season saw a mini-revolution of sorts for Fiorentina under the newly appointed, widely acclaimed and one of the brightest young coaches in Europe, Vincenzo Montella. But for a moment of sheer madness in Tuscany where of all people, Phillipe Mexes saw Milan home, Fiorentina would have realized the dream of playing Champions League football next season. Going by their eventual fourth place finish however, what one may presumably think is, a team having just showed promise will find itself lost on a bigger stage after seeing its core move onAi? ?to greener pastures. While Fiorentina are not completely defying that popular perception, their ambitions are still pretty much in place and that they are not content at being labelled one-season wonders has been more thanAi? ?merely hinted atAi? ?in their latest acquisition of Germanyai??i? 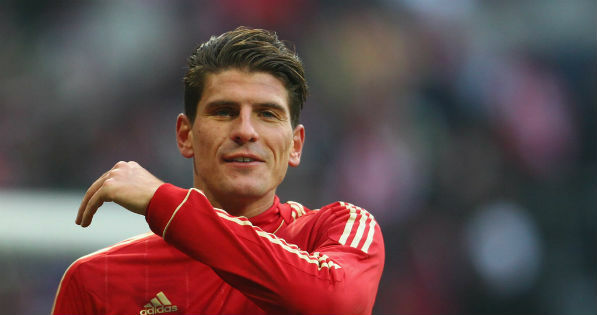 ?s star striker Mario Gomez. Even before last season had concluded, the departure of Stevan Jovetic seemed nearly imminent and if the rumours in the market are to be believed, itai??i? ?s only a matter of time now. The bigger question being discussed is where he lands rather thanAi? ?whether heAi? ?will beAi??sold. Juventus have been linked with the Montenegrin for a long time and it appears in their bid for the third straight league title, the Bianconeri might splash the cash Fiorentina are adamant on. Arsenal too were briefly into contention but it seems finding a more classical striker is their top priority now. The latest reportsAi? ?seem to confirm he is very closeAi??toAi??sealingAi? ?a move to Manchester City. Going by the rumour mill, it looks increasingly certain that but for a dramatic turn of events, Fiorentina will have to let go of Jovetic. The arrival of Gomez is also a signal of securing the backupAi? ?before losing your star player ai??i?? although the German is hardly a direct replacement for Jovetic. Fiorentina are not the club with the most enviable of budgets and operate on modest wage structure. 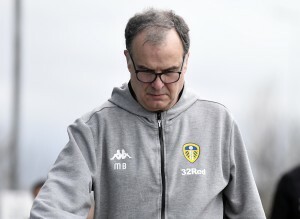 In order to remain both competitive on the field and sustainable in the business, they will need to keep selling their best players and thatai??i? ?s far from an unknown trend for clubs that lack strong financial muscle. But then the more pressing question that arises is how exactly shall Gomez be able to fill the void left by Jovetic? The answer most certainly is negative. After all, he is not really known for his work-rate and his lack of involvement in the other aspects of the game is believed to be the reason Jupp Heynckes relegated him to the bench in favour of a less fancy but more hard-working Mario Mandzukic. Jovetic was the fulcrumAi? ?of the Fiorentina attack and although not the most prolific of goal-scorers (he topped the chart for Fiorentina last season though), he has been the chief creativity outlet for the team and was nearly indispensable from the formation Montella preferred playing. Gomez on the other hand, is very simply put, a striker who scores goals and scores plenty of them. His goal-scoring exploits, if understood in a statistical context, might leave romantics saying he loves scoring them. A phenomenal strike-rate and an equally sharp eye for goal aside, Gomez has got an extremely strong physical presence in the middle and can easily out-muscle even the heftiest of defenders to win the aerial battles. Fiorentina were very effective on the wings last season with both Cuadrado and Ljajic having had a wonderful season on personal front. Ljajic in particular was a revelation and while he too has been on the radar of clubs both in Italy and Europe, thereai??i? ?s also a chance heai??i? ?d see out his contract playing for one last season in the Viola colours. Although Fiorentina were breathtaking to watch the entire last season, it must be noted the clear lack of a centre forward was at times frustrating. For someone having made a comeback from playing football in Middle East, Luca Toni did a fairly good job but it was very clear that in order to push this project to its limit they needed a younger and considerably better striker. Toni has now been shipped off to Verona where he could probably end his playing career but now with Gomez in their ranks and Cavani being very close with a move to PSG, Fiorentina can safely boast of having the best striker in Serie A. Should they be able to retain Ljajic now, it could form a very menacing attacking partnership adding both strength and ferocity. 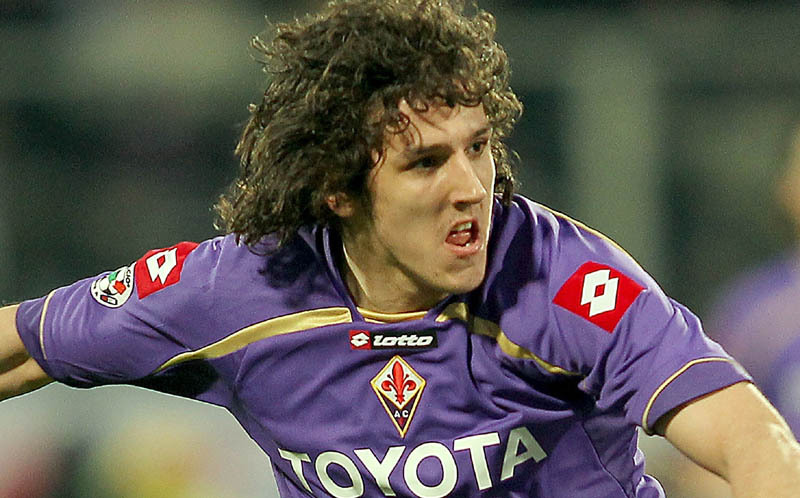 That leaves us with the Jovetic situation. Few players world over are as talented as the 23-year old, former FK Partizan man but what many are overlooking at the moment is Fiorentina have already secured the services of a not so young, slightly lost in obscurity but enormously talented Giuseppe Rossi. If not for the multiple injuries having played a major role in his career during the last two years, Rossi would have easily been a household name in the European footballing circles. He was almost a permanent fixture along with Antonio Cassano for the national side when Cesare Prandelli had just taken over. Fitness issues kept him out of the Euros last year and his career hasnai??i? ?t had many significant moments since. Six months after signing for Fiorentina, Rossi will now feature in his first complete season and although it will be difficult on his part to find the shape straightaway, his abilities can never be doubted. Rossi has in past played in a supporting role to Nilmar at Villarreal and Cassano for Italy. He is adept at slotting into different roles and can perfectly fit into the hole behind Gomez in the Jovetic role. Moreover, Rossi must be desperate at making a strong claim for his selection one more time in the national side and thus will be very high on motivation. The American-Italian is by no means a like-for-like replacement of Jovetic but with slight tactical adjustments, he can ensure Jovetic is not as badly missed as people presently think. The most crucial point to note is Fiorentina have been street smart in the marketAi? ?even ifAi? ?it is also slightly perplexing to note they faced no real competition in striking this deal. Gomez may not have remained first choice at Bayern towards the end of last season but is still one of the most feared forwards world over and this is an immensely challenging move for him at the personal front too. He might take some time in acclimatizing to a very different brand of football played in Serie A where strikers do not enjoy a ridiculously easy affair as they perhaps do in some other leagues. To put things into some perspective, in over half a century, only twice a forward has managed get past the 30-goal mark in a complete league season and we are talking about the likes of Van Basten, Inzaghi, Vieri, Totti and even Cavani here. So itai??i? ?s going to be anything but an easy ride for Gomez but will also help him discover and hone other dimensions of his game. It will not be a stretch too far to suggest he has all the ingredients in his game to once again entertain the Viola fans with the magic they were so used to seeing from a certain Gabriel Batistuta.